Infanticide is an act that goes directly against the Right to Life of children. Although it used to be more common in the past, today we can still come across cases of infanticide, particularly against girls (female infanticide). Infanticide is the act of deliberately causing the death of a very young child (under 1 year old). In the past, and in many societies, it was a widespread practice, permitted by different cultures around the world. Nowadays, it is considered to be an unethical crime; however, it is still performed. In some cultures, children are not considered to be human beings until certain ceremonies have been performed (name-giving ceremonies or haircuts for example). Infanticide occurs rarely once those ceremonies have taken place but killing a child before them is not seen as a homicide. Infanticide is usually difficult to report, because in most cases these deaths are covered as stillbirths or children are just not registered at the civil registry after the birth. Direct or active Infanticide is killing the baby deliberately, by means of dehydration or starvation, suffocation or head injuries. Indirect or passive infanticide begins with inadequate nutrition, neglect or careless parenting, especially when the baby gets sick. Sometimes, depending on the circumstances, there is no clear distinction between infanticide and abortion. For example, among the Yanomami people of Brazil, when an unwanted pregnancy occurs, the woman is encouraged to work during the sixth or seventh month of her pregnancy, and then the fetus is killed if it shows signs of life after birth. In many societies, especially in the past, infanticide was routinely used as a way to control and regulate the population. As such, it particularly affected female children, since having fewer women meant having a lower rate of reproduction (fewer children). Unwanted pregnancies are the most common cause of infanticide nowadays. This may be because women or families do not have enough resources to look after their children and because, in many parts of the world, there is no access to modern forms of birth control or medical abortion. Thus, many women experience unwanted pregnancies, or they just want a certain kind of child, with specific characteristics, which they believe can be more helpful in their circumstances. 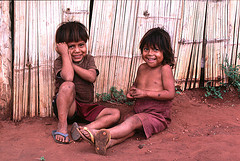 A study by Scheper-Hughes, published in 1992 and conducted in a slum in Brazil over a period of 25 years, revealed an average of 200 deaths per 1000 children born. Most of these deaths were due to indirect or passive forms of infanticide. Mothers preferred their children to be fast, clever, active, and precocious in their development, and children showing opposite features, would not receive medical care when they were sick or were given less food than their siblings, since they were considered as showing less aptitude for life. Another cause of infanticide associated with unwanted pregnancies may be illegitimate births, which means that the pregnancy is not the result of a marriage recognized by the society. In some cultures such births are highly undesirable, since they can dishonor a family. Some societies still perform infanticide due to beliefs derived from biological causes. For example, in some communities in Benin (Africa) children born with a disability are killed, as negative magical effects or evil spells are attributed to their birth. The same beliefs apply in cases of twin and albino children birth. Regarding twins, sometimes only the second child is killed or it is given to another family (e.g. 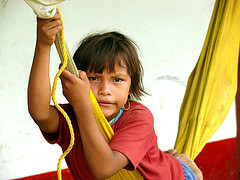 Quijo people in Ecuador). Female infanticide is the most common form of infanticide, both nowadays and in the past. This practice is mainly due to the fact that, in some cultures, males are considered to be socially more valuable than women. Moreover, female infanticide is sometimes related to the control of the population. For example, the UN World Report on Violence Against Children conducted among 1,000 women in India revealed that infanticide was the cause of 41% of deaths among newborn girls. In China, infanticide is also practiced, mainly due to the one-child policy (even though it existed before), which states that each couple can have only one child. Many parents prefer to have an abortion before the birth, if they know that the child is a girl. However, among people who do not have this possibility, infanticide at birth can be performed. This practice goes directly against the Right to Life due to gender bias, it especially violates the Rights of girls. Female infanticide and abortions have caused a great imbalance between the sexes in some regions. 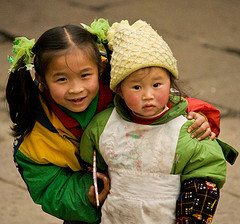 In 2007, a UN report estimated that approximately 100 million girls worldwide had disappeared, 80 million of them in China and India. In the future, this could lead to an increase in girls trafficking or to forcing women to marry more than one man.